Evolved from working with head injured groups at Headway and those attempting to return to work, this is a rich, comprehensive and photocopiable workbook for professionals, carers and clients. It contains over 140 cognitive rehabilitation exercises - tailored for memory, thinking skills, executive functions, awareness and insight, and emotional adjustment. It provides more than 40 information sheets on key problem areas, with questions for the reader, designed to educate and stimulate thinking and discussion. Suitable for both individuals and groups, it includes questionnaires for clients to complete with or without help and quizzes to evaluate and encourage information retention. 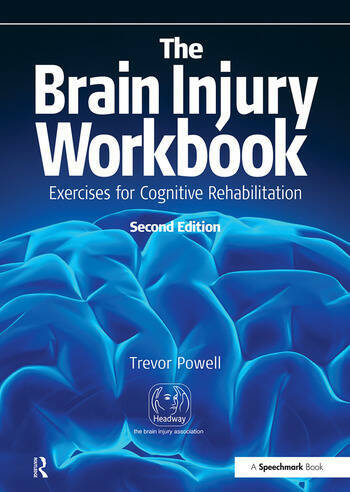 Primarily for professionals where exercises or handout sheets can be photocopied and used therapeutically, The Brain Injury Workbook can also be used by carers or family members to provide stimulating activities for a head-injured person. In addition, the head-injured person themselves can work through the book on their own.